I gathered a few seeds from the Chives. Dry throughly, place in envelope and label. I love seed saving, too. Nice shot! Thanks Wendy, they caught my eye in the garden, and I gathered up the seeds! I’m looking at these seeds and all I can think is this: a work of art. Mother Nature is the best artist, in my book! 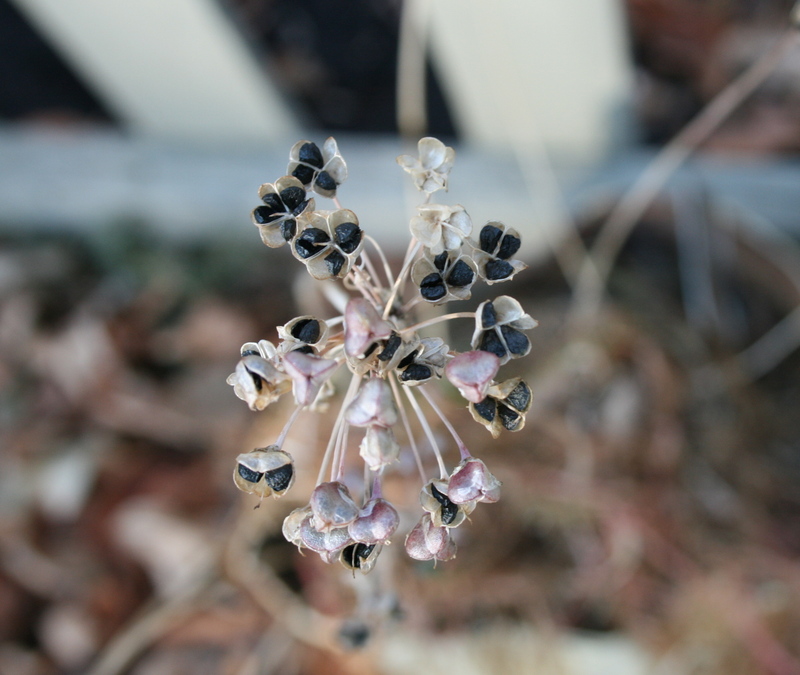 ah the beauty of seeds and seed saving, a topic close to my heart! And they make such wonderul photographic subjects, especially when taken by you! And I just want to say–I have not been a good seed saver in the past–after reading your seed saving post last year–I did a bit of research and got motivated. I started adding up the cost of seeds each year (I’m very motivated to save money! I’m a frugal girl!). It was one of those–duh! moments! Now I am gathering up all those little seeds I can. Money saved to be spent elsewhere in the garden. very cool… simple but not.